Generally Speaking, as per the covenants, all Association Members must submit an Architectural Request Form for Architectural Review Committee approval prior to making any changes to the outside appearance of their homes, yards, fences, and gates within the Association. The Architectural Review Committee is made up of volunteer members of the Bailey Ranch HOA who are knowledgeable on the covenants, Architectural Guidelines, and City Of Owasso Building Codes. The Architectural Review Committee will try to evaluate the Architectural Committee Submittal Form and return it to the homeowner within 7 working days of receiving the form. It is always best to submit the Architectural Request Form, rather than not to submit the form and then to be sorry later on. If an Association Member begins construction or changes to their property without Architectural Review Committee approval the Association Member is taking the risk of having their project denied which can become very costly to the Association Member. 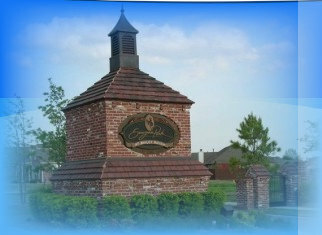 The Bailey Ranch HOA construction requirements are similar to the City Codes. In some instances the requirements are different from City Codes. Approval of a project by the City Of Owasso does not guarantee that the project will pass the Bailey Ranch requirements. In many instances the homeowner must obtain an approval from both the Association and the City Of Owasso. Please print and fill out the Architectural Request form. Then email baileyranchhoa@yahoo.com or call 918-376-1901 with your request. The Architecturel Chairman will contact you to discuss your changes and you will be required to fill out the form and have the form signed by the Architectural Chairman before work can be completed. The more information you provide, the easier it is for the committee to approve the request.